The National Institute on Alcohol Abuse and Alcoholism (NIAAA) defines binge drinking as raising blood alcohol concentration (BAC) to above 0.08 g/dL, which usually means five or more drinks for a man and four or more for a women in a period of two hours or so. A drink is generally defined by NIAAA as a 12-ounce beer, a 5-ounce glass of wine, or a 1.5-ounce shot of 80-proof distilled spirits. The Centers for Disease Control and Prevention (CDC) reports that half of all of the alcohol consumed in America is in through binge drinking, which is the most common type of excessive use of alcohol in the United States. Ninety-two percent of individuals who report excessive drinking have binge drank in the past month. Binge drinking patterns may be increased with greater access to alcohol. USA Today reports that when bars are located close together in an area, it may create higher incidence of binge drinking as individuals may engage in “bar hopping.” Binge drinking is thought to be common among college students, and NIAAA reports that four out of five college students consume alcohol and half of them do so through binge drinking. The CDC publishes that binge drinking may be most common in individuals between 18 and 34, although 70 percent of binge drinkers may be over the age of 26. Those over age 65 binge drink more often (5-6 times per month), and the average adult binge drinks around four times a month and consumes around eight drinks each time. Men binge drink two times more than women, and of those below the legal drinking age of 21 who drink, 90 percent binge drink. Affluent individuals who make $75,000 or more a year are more likely to binge drink than those living in a lower-income household as well. With the prevalence of binge drinking, it’s no surprise that its effects are seen in virtually all communities and across all demographics. Binge drinking comes with many dangers, often resulting in many behavioral, social, emotional, and physical health problems. When someone drinks alcohol, several things happen in the brain and body. For one, some of the brain’s chemical messengers, or neurotransmitters like gamma-aminobutyric acid (GABA) and dopamine, are increased. This makes people feel good, less inhibited, and more self-confident. The central nervous system is also slowed, decreasing some vital life functions like heart rate, respiration, body temperature, and blood pressure. Mental and physical faculties are impaired with excessive alcohol use. Individuals engaging in binge drinking may have drastic shifts in personality while intoxicated. Binge drinking and excessive drinking may increase the risk for heart failure, liver disease, stroke, high blood pressure, sexually transmitted diseases, injury or accident due to intoxication, and alcohol dependence. One of the biggest concerns of binge drinking may be alcohol poisoning, which occurs when alcohol levels become too high for the body to break down alcohol, thus creating a buildup of dangerous toxins in the bloodstream that may be life-threatening. The CDC reports that six people die every day in America as a result of alcohol poisoning, or approximately 2,200 people every year. Since alcohol suppresses central nervous system functioning, in the case of alcohol poisoning or alcohol overdose, breathing, heart rate, blood pressure, and body temperature are all lowered to dangerous levels, which may cause coma or even death. Surprisingly, the U.S. News & World Report published a study that indicated the most common age group to die from alcohol poisoning in the United States was middle-aged adults between 35 and 64 (with the highest percentage being between ages 45 and 54), primarily non-Hispanic white men and those living in the Great Plains states and the western US, as well as Alaska, Rhode Island, and Massachusetts. Alcohol poisoning is a medical emergency. If any of the following symptoms are noticed, seek immediate medical attention: trouble breathing, vomiting, irregular heart rate, bluish tinge to nail beds or lips, low blood pressure, extreme drowsiness, trouble keeping someone awake or waking the person up, loss of consciousness, confusion, or seizures. Binge drinking may increase the likelihood of someone being involved in an accident or being injured from a fall, being burned, or drowning. Incidence of violence may be increased. A binge drinker may be more likely to be involved in a domestic violence dispute, as well as potentially more likely to attempt suicide, fall prey to sexual assault, or engage in risky sexual encounters, therefore increasing the risk for contracting hepatitis or HIV/AIDS. The CDC reports that individuals who binge drink are as much as 14 times more likely to drive while impaired than those who don’t binge drink. The National Highway Traffic Safety Administration (NHTSA) reported that in 2013, there was an alcohol-involved fatal motor vehicle crash more than once every hour. Over 10,000 people died as a result of alcohol-impaired driving in America, which was 31 percent of total traffic fatalities for 2013. Excessive, or harmful, use of alcohol may cause at least 3.3 million deaths around the world each year, the World Health Organization’s (WHO’s) Global Status Report on Alcohol and Health 2014 published. In America, the CDC reports that 88,000 people die every year from alcohol-related causes. Drinking to excess on a regular basis may increase the risk for becoming physically and psychologically dependent on alcohol. 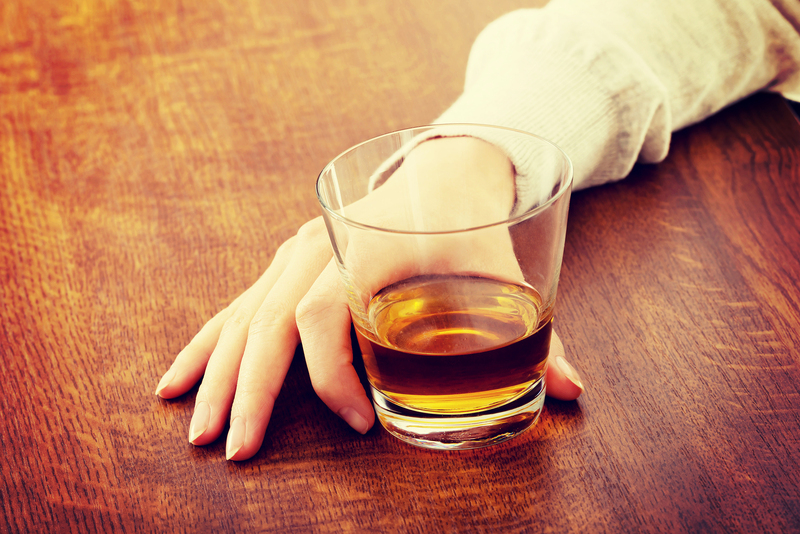 Alcohol dependence, or addiction, has many harmful effects on individuals and their families and loved ones as well. Mood swings, erratic behavior, lack of ability to control drinking, drop in school or work production, changes in sleeping and eating patterns, increased aggression, and cognitive defects may all be consequences of alcohol dependency. Individuals dependent on alcohol may withdraw from family and friends, be secretive about their drinking, and spend most of their time getting alcohol, drinking it, and recovering from alcohol’s effects at the expense of all other activities. Individuals battling alcohol addiction may have trouble deriving pleasure from anything other than drinking, and they may lose interest in things that they previously enjoyed. Depression and anxiety may be increased, and mental health may deteriorate with heightened alcohol intake. Alcohol may increase mental illness symptoms. The National Alliance on Mental Illness (NAMI) reports that one-third of all alcohol abusers also suffer from mental illness. Those engaging in binge drinking regularly may start to have financial difficulties as they spend more and more money on booze. They may also risk losing their jobs due to poor performance, unreliability, increased sick days, or poor work output. Similarly, school grades may drop. Families may not be able to count on an individual to fulfill familial obligations either. Interpersonal relationships may suffer. Individuals who binge drink may begin to have legal troubles related to their alcohol intake, since it may increase the likelihood that people will engage in criminal behaviors. Excessive drinking may cost society as a whole over $200 billion dollars annually (2006 data from the CDC). Binge drinking may make up three-fourths of these costs in lost workplace production, healthcare costs, costs from motor vehicle crashes, and legal or criminal justice expenses. When people binge drink, negative mental and physical consequences often result, and fewer binge drinking episodes can decrease some of these potential hazards. When an individual has developed a dependence on alcohol, it is not recommended to try and stop drinking without the help of a professional, as alcohol withdrawal can be potentially life-threatening in some cases. Medical detox can help decrease alcohol intake while mitigating possible negative withdrawal side effects. Medications may be used for this purpose, and a medical professional can monitor a person’s vital signs to ensure continued safety during detox as the alcohol is purged from the body. Disulfiram (Antabuse): This aversion medication is used after alcohol is out of the system to maintain abstinence. It creates an unpleasant reaction if alcohol is reintroduced while taking it. Acamprosate (Campral): This medication may act on GABA levels in the brain, improving protracted withdrawal symptoms and increasing abstinence levels. Topiramate (Topamax): This epilepsy medication is sometimes used off-label to reduce drinking by potentially acting on GABA levels, decreasing withdrawal symptoms, and preventing relapse. Naltrexone (ReVia and Vivitrol): This medication blocks opioid receptors and may help to prevent relapse after detox is completed. Many times, individuals may not recognize that their drinking has reached problematic levels. Interventions may be helpful to get these people into treatment programs. A trained intervention specialist can help plan and execute an intervention with families and loved ones. Once in a treatment program, several behavioral therapy techniques may be useful in helping to prevent further episodes of problem drinking while improving overall mental health and strength. One such method is Motivational Interviewing (MI), which is a nonconfrontational therapy model that can help individuals to become more motivated to seek change on their own while accepting that their emotions are valid. Another method is Cognitive Behavioral Therapy (CBT), which can help identify why an individual may have started binge drinking and explore potential triggers for relapse that can be managed with learned healthy coping mechanisms. Group and individual therapy sessions teach life skills and ways to better handle difficult emotions. Peer support and 12-Step programs provide a network of empathic individuals that can provide lasting encouragement and help prevent relapse or a return to binge drinking patterns. Binge drinking doesn’t have to be outside of an individual’s control. Healthy emotional and physical balance can be restored with treatment at a specialized alcohol treatment program. As with all forms of care, treatment for binge drinking issues should be specifically tailored to each client, helping to ensure the most robust recovery experience available.